Sir James’s ideas rarely conformed to a stereotype, and he often held views that were traditionally opposed. For example, in the 1970s his belief in the responsibilities and rights of individuals led him to argue with equal passion against both communism and the English class system. Although his focal points changed over his lifetime, the underlying beliefs remained remarkably constant. 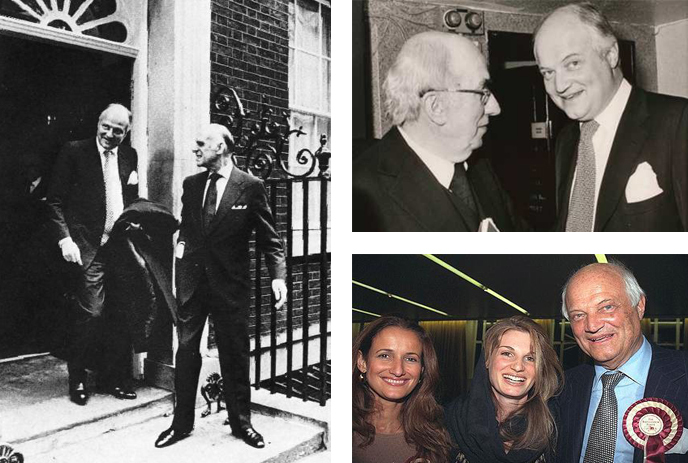 Many of Sir James’s views on business also translated into the economic and political sphere, most notably in his passionate fight against the European Union. While he believed in the cooperation of European nations and a common marketplace, he foresaw significant economic, political and societal problems if these nations were to be joined under one currency – a move he also believed was in effect a political joining into one supra-nation. Sir James also challenged many widely-held views on macro-economic policy, most notably in his attack on global free trade and the General Agreement on Tariffs and Trade (GATT), and what he saw as malignant side-effects that were also evident in agriculture and the food industry. He was an advocate for market freedom and meritocracy, criticizing Britain’s bureaucracy and inefficient class system which he believed limited the scope for entrepreneurship and prosperity. He also called for better forms of political representation, was passionate about the importance of democracy and nationality, and had firm views on governance and the role nations should take – including the UK, the constituent nations of Europe, America and the Soviet Union. Many of these ideas were set down in his book The Trap. First published in France as Le Piege in September 1993, it became a bestseller, and was published in English in 1994.